A product of one of America’s most culturally rich communities, M. E. Holland always had dreams of becoming a filmmaker. As a youth growing up in Harlem New York during the 70’s and 80’s, Holland spent hours after school reading comic books in his father’s stores which stood just blocks away from the Apollo Theatre. It is no wonder Holland developed great storytelling skills. In his freshmen year of high school he won an award for his exceptional writing ability. Then in 1989, Holland was inspired by Spike Lee’s movie Do The Right Thing. Intrigued by Lee’s ability to tackle issues of the Black community, Holland began to develop an interest in writing screenplays. He often heard African America actresses express frustration with the shortage of scripts written with Black women in lead roles and the plight of maintaining work in Hollywood. This touched Holland so deeply that he felt compelled to fill this gap by writing scripts that showcase Black women’s experiences. He began taking non-matriculated courses on screenwriting at The New School in Manhattan. Then devised a plan to apply to New York University’s Tisch School of the Arts. Holland was amongst the 48 out of 1800 accepted into the fall semester of 1994. One professor referred to the class as “the wonder children” because of the rich talent each individual displayed. 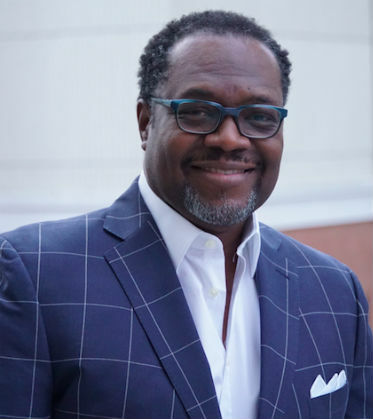 Today the 51 year old has emerged as a powerful voice for women and people of color by giving voice to the voiceless in the independent films he wrote such The Other Brother (2001), Love and Other Four Letter Words (2007), and My Girlfriend’s Back (2011). His expertise in analyzing women’s issues has won him an award from The Writer’s Network for a screenplay entitled A Gentleman’s Game. 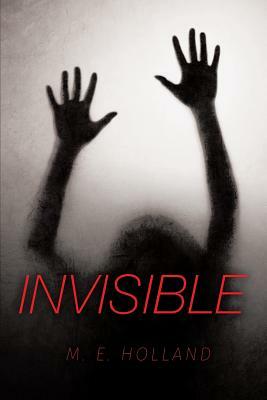 Diligently working to artfully articulate women’s experiences in America, Holland used his life experiences from various friendships and voracious reading of psychology and history to write his debut novel, Invisible (2018). This novel attracts women who have experienced sexual abuse in relationships throughout their lives and fits perfectly into this era of #METOO and #TIMESUP. Today Holland speaks extensively on women’s history, women’s rights, and American misogyny. He holds a B. A. degree in U. S. History, with a minor in African American Studies, from Fordham University and an MFA from NYU. Tell us how much you like M. E. Holland.